There is this guy who has threatened to kpai a Senior police officer with his bare hands for sl33ping with his wife. 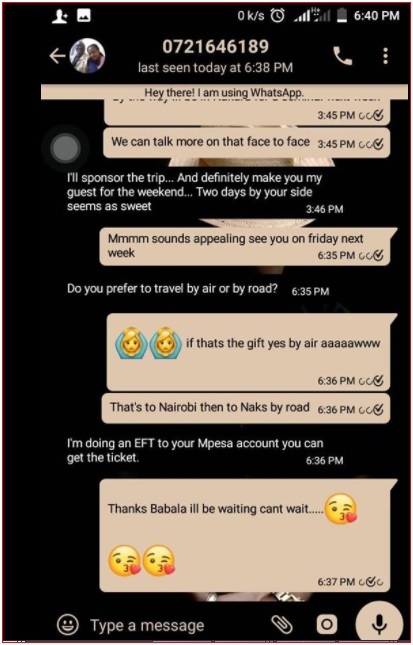 He shared texts between his wife and the Senior cop planning how they will meet for s3x. The cop even promises to pay his wife an air ticket so that they can meet and have some nice time. 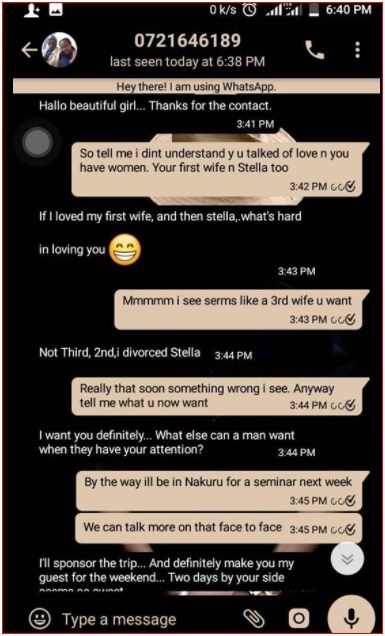 The manâ€™s wife is planning to travel for a seminar and thatâ€™s when she plans to meet the Senior cop for s3x. Here are the texts messages between his wife and the cop that the man shared online. He should also blame his wife for being loose.